The Casio Women's Pop Tone Black Digital Watch #LDF50-1CF combines minimalism with a futuristic fashion aesthetic. 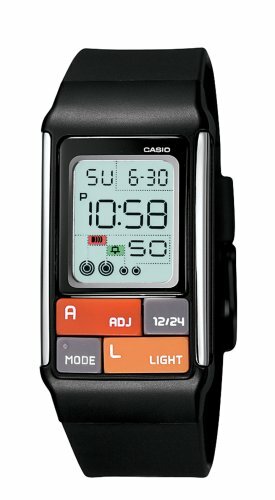 Colorful and distinctly feminine, this Casio offers a digital display (that's backlit when needed) with large numbers and large quadrant keys housed in a cute, slim case. Other fashion highlights include a black resin band with a traditional buckle. 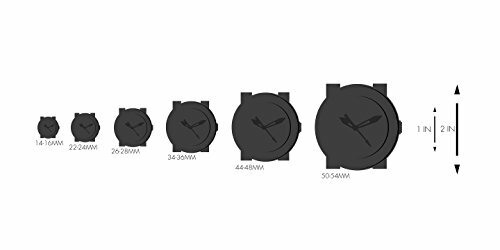 Water resistant to 165 feet (50 meters), this watch also includes a 1/100 second stopwatch that can record split time, a fully automatic calendar (pre-programmed until the year 2099), an alarm, and a three-year battery.